Sven Erik Jørgensen was the professor emeritus in environmental chemistry at the University of Copenhagen. He received a master of science in chemical engineering from the Danish Technical University (1958), a doctor of environmental engineering (Karlsruhe University) and a doctor of science in ecological modelling (Copenhagen University). He was the honourable doctor at Coimbra University, Portugal and at Dar es Salaam University (Tanzania). 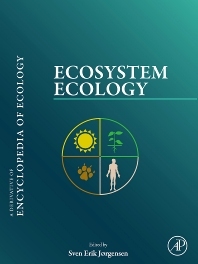 In 1975 he founded the journal Ecological Modelling and in 1978 the ISEM (International Society of Ecological Modelling). He has received several awards, the Ruder Boskovic Medal, the Prigogine Prize, the Pascal Medal, the Einstein professorship at the Chinese Academy of Sciences, the Santa Chiara Prize for multidisciplinary teaching and the very prestigious Stockholm Water Prize. He has published 366 papers of which 275 were published in peer-reviewed international journals and he has edited or authored 76 books, of which several have been translated to other languages (Chinese, Russian, Spanish and Portuguese). He has authored a successful textbook in ecological modelling “Fundamentals of Ecological Modelling”, which was published as a fourth edition together with Brian Fath in 2011. It has been translated into Chinese and Russian (third edition). He authored a well received textbook in system ecology entitled “Introduction to Systems Ecology”. It was published as an English edition in 2012 and as a Chinese edition in 2013. He was editor in chief of the Encyclopedia of Ecology, published in 2008, and of the Encyclopedia of Environmental Management, published in December 2012. He has taught courses in ecological modelling in 32 different countries. He is the editorial board member of 18 international journals in the fields of ecology and environmental management. He was the president of ISEM and he also was elected member of the European Academy of Sciences, for which he was the chairman of the Section for Environmental Sciences.